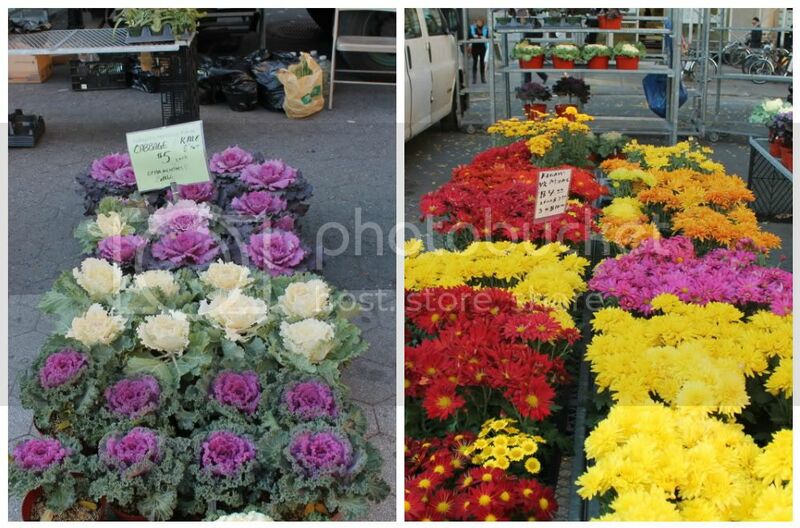 One of my favorite things to do in the fall in New York is to stroll through Union Square Greenmarket. The colors, textures, smells of the season are all around you. We shared a pint of the freshest and sweetest apple cider I've ever tasted. The market was filled with ideas to set a beautiful table for the holiday. I loved all the colors of the season, but this is what I was most drawn to...bundles of wheat, grasses...all different textures. I even loved how they looked wrapped in brown paper against the gray honeycomb pattern on the ground. Maybe next year bundles of these down the middle of a long table with a natural linen gray cloth and simple hurricanes with ivory candles? How will you be setting your Thanksgiving table? It looks fabulous! !...I love to set the table with fresh things. I was just at the hobby store picking up paints, and there were so many people there buying the plastic variety for their tables - nothing pretty about that. Yes, Annie, the sheaves of wheat are so attractive, they would certainly have been our choice. And, as you say, they do look wonderful wrapped in the simple brown paper. Lovely! I had a friend that lived on 14th Street just around the corner from Union Square. When you're in the city, all of those things seem like found treasure. I always loved visiting. Just lovely. I wish we had something like this in KY. I need to get cracking on my Thanksgiving table. I have nothing planned as of yet. Your idea for the table sounds divine! Good question about our Thanksgiving table...time to ponder. Love these images, Annie. Fall is definitely my favorite time in New York. 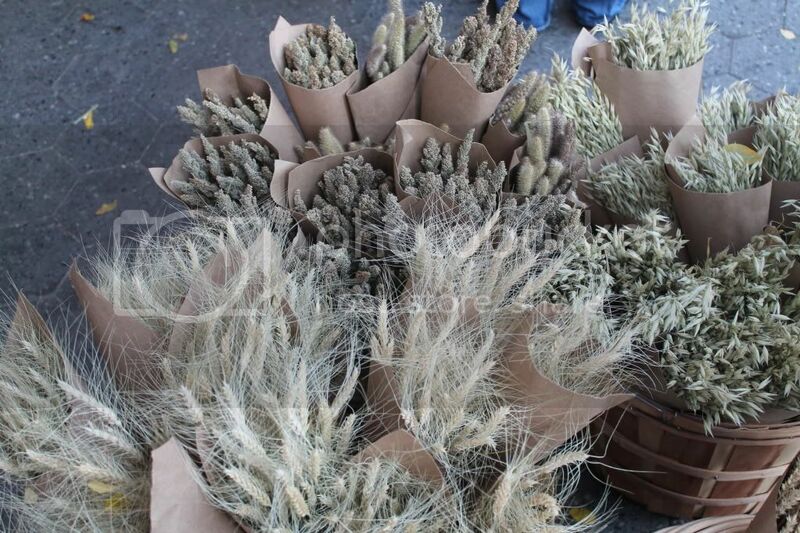 I would love to try the bundles of wheat the next time I host Thanksgiving. i love the idea of the grasses wrapped in simple brown paper. that would be right up my alley. i am not decorating a table but i will be decorating a friends and it will be v natural and simple. white plates, linen napkins with silver napkin rings and chunky candle holders down the center of the table with beautiful magnolia leaves strewn about. i kinda wish i was going to be a guest there. Hi Annie I love your images, the colours are amazing and the bundles of wheat and grasses are just fantastic. Lovely images, looks like you had a great time! Loving all the colour in the flowers so pretty. Funny you should ask because I have been planning my Thanksgiving table and am using some wonderful natural elements. Just picked up some wheat for place cards the other day! Great minds think alike! Hope you had the best time in NYC. By the looks of it, you did! 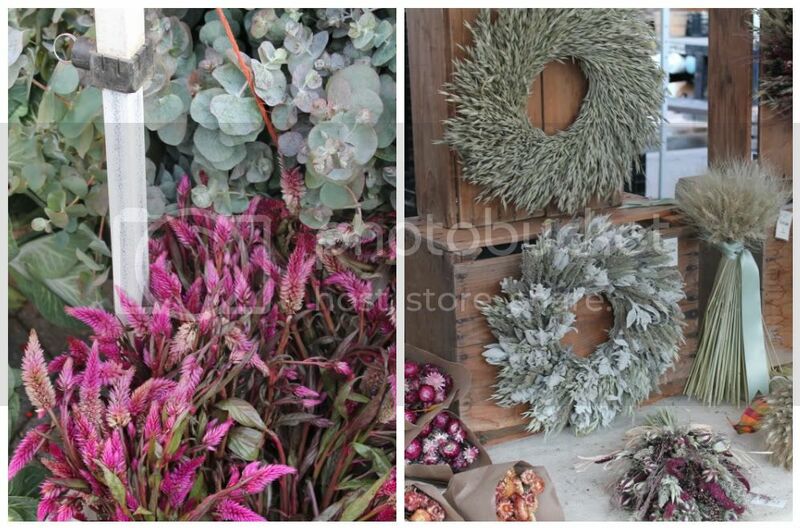 Love these fall images! I will be in NYC for Thanksgiving this year (first time going at Thanksgiving) so no table decor for me! 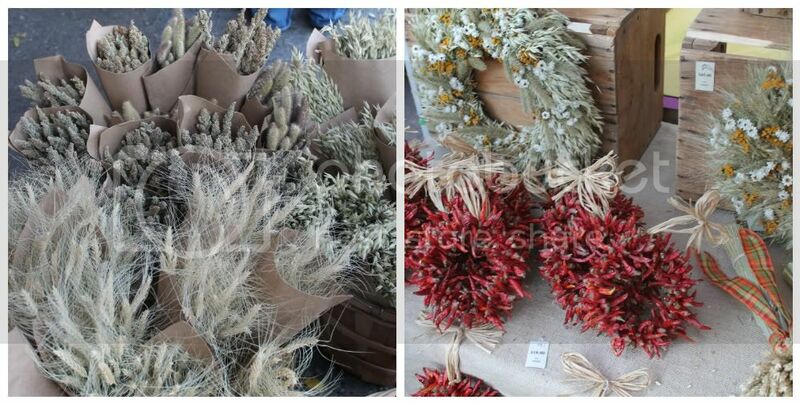 I love your idea of the grey Thanksgiving table motif with the grasses and hurricanes...great photos. ps. Love your little Muji NY cityscape, a couple of posts back. Too cute!! Wow, what beautiful photos! I have never visited the Union Square market before, I will definitely check it out the next time I am in New York. Looks like you and your daughter had a great trip! Wow I love that one of the biggest cities of the world has a kind of "town market". I've seen so many films and series about NY, that I'm very in love with this city... although I never been there! Love that city. Even the simplest things seem amazing there. Lucky you! Love the Greenmarket! When my sister Al lived in New York after college she sold apples at the Greenmarket and her boyfriend sold pretzels there! It was so fun to visit! I wish I was setting the Thanksgiving table this year - but will be a guest this year! Love the wheat in paper cones idea - paper cones just make everything look so charming! Annie, what a lovely blog! My first visit. 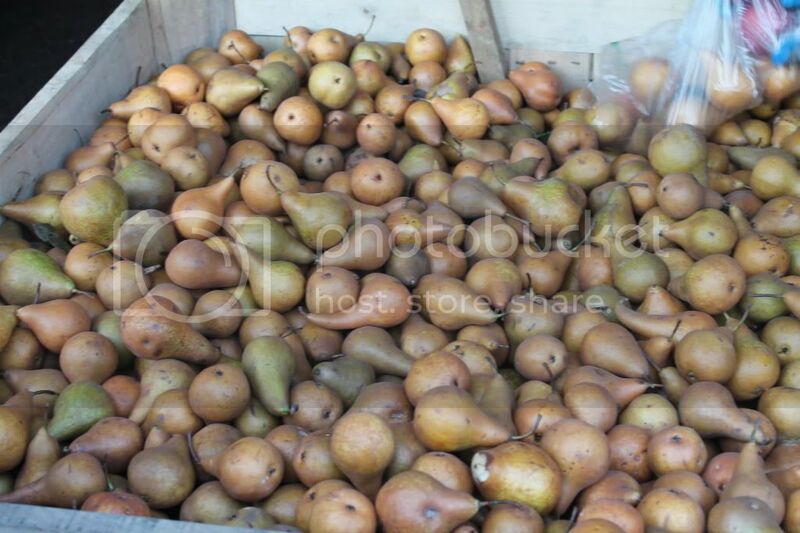 I love fresh markets and the image of those pears is just the epitome of fall. Took a peek at your kitchen too. Fabulous! Love the ceiling and the open shelving and your cabinets! All of it is beautiful. Thanks for visiting my blog. I appreciate your comments! 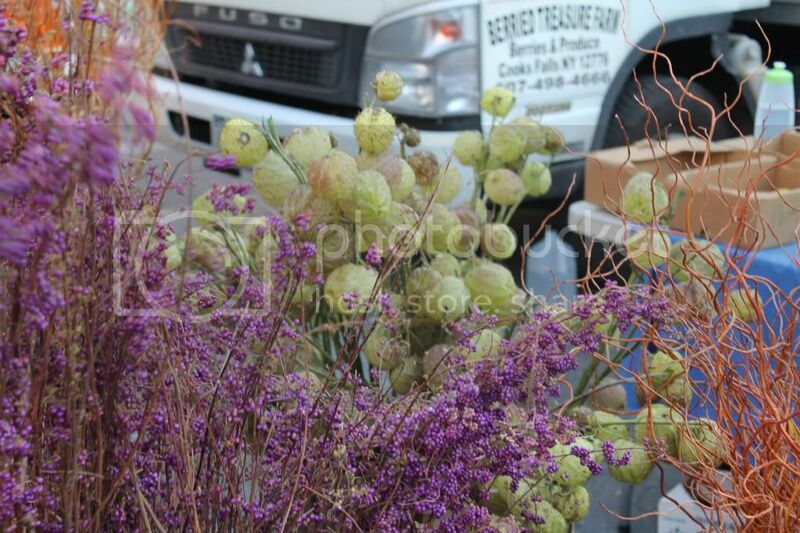 I can feel the energy of NYC in your blog and loved the harvest ideas' from Greenmarket. While at my favorite garden center yesterday, I saw beautiful garland made from magnolia leaves... rusty brown/mossy green, perfect for a Thanksgiving table.